The Sandbox Wurm Unlimited is out ! Experience the passion of rugby in the official 2015 Rugby World Cup video game. Choose from the 20 teams competing in the World Cup and take part in the most prestigious rugby competition to win the Webb Ellis Cup. 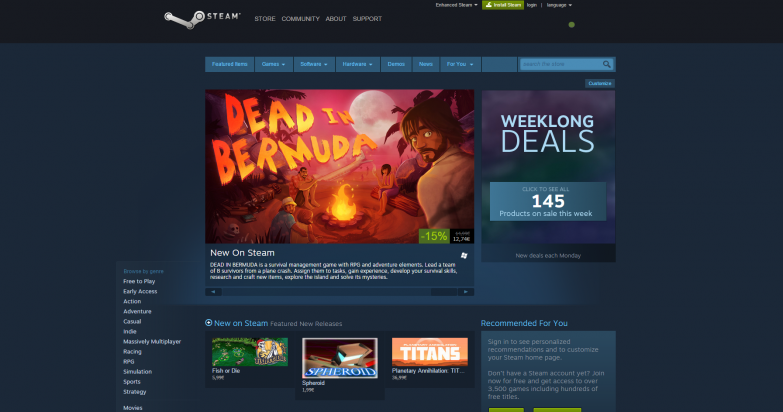 Dead In Bermuda on Steam’s Home page! DEAD IN BERMUDA is a survival management game with RPG and adventure elements. Lead a team of 8 survivors from a plane crash. New Partnership with Might and Delight! Plug In Digital is proud to announce his new partner: Might and Delight along with its remarkable games Shelter 1 & 2, Pid and The Blue Flamingo.